Frankie Dettori’s refusal to take the mount on Diamond Vision at Newbury on May 13th in a race that was ‘below tariff’ demonstrated vividly how The Horsemen’s Group has ridden roughshod over the BHA, leaving horseracing’s governing and regulatory authority, grovelling in the dust. It’s reported that Dettori’s official ‘excuse’, was that Jim Crowley, who took his place on Diamond Vision, was entitled to ride as Crowley’s original mount was a non-runner. The BHA now believe officials might have been misled and are looking at the case. Be assured there will be no one quaking in his boots at The Horsemen’s Group’s head office. The Dettori incident might seem a small and unimportant event, but the implications for racing are stark; implicit in Dettori’s excuse is the message ‘tell those buggers any old nonsense, they don’t matter anyway’. Is there no fight in the BHA? Will they simply allow The Horsemen’s Group to interpret the law as they see fit? Is the BHA content to be the laughing stock of sport? How has it come to this? We have a governing body which appears to be held in contempt by those who should most respect it. The Horsemen’s Group, doubtless frustrated by what they saw as a toothless and inefficient BHA, effectively assembled an invasion force and took over racing. It appears the BHA will be permitted to stay ‘in power’ as a puppet government until such times as The Horsemen’s Group chooses to remove them completely. That time is not far away according to Howard Wright who reported recently, “Parts of the BHA are on the brink of being carved up among horsemen and racecourses . . . responsibility for fixtures and race planning is (to be) shifted towards the newly constituted Horsemen’s Group and Racecourse Group. There is no reference to such a plan on The Horsemen’s Group’s website or on that of the RCA or BHA, so I don’t know what stage they’re at. One thing I do know is that If the BHA relinquish all control over fixtures, they are finished. Fixture control is the nuclear warhead of racing. Although it’s a grey area, the BHA certainly has its finger much closer to the red button than The Horsemen’s Group does. At the moment the BHA is responsible for ‘the allocation of fixtures’. Once that right is surrendered, the BHA might as well raise the White Flag over their High Holborn offices. Would any other governing body in a major sport meekly give up their key commercial asset? Perhaps someone at the BHA can tell us whether they have simply accepted they are on their way out? Is a call to arms pointless? Maybe the BHA believe they will retain control as regulators. Think again if you do BHA. Given the evidence so far, The Horsemen’s Group will ignore your regulations when it suits them. An organisation whose signature business tactic features threats and boycotts is unlikely to be too troubled by minor matters like regulation. 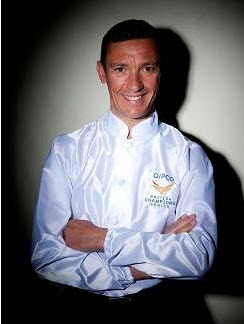 As a member of the Professional Jockeys Association, Frankie Dettori is also, effectively, a member of The Horsemen’s Group. His mini ‘strike’ on Friday, is unlikely to lead to sanction beyond a paltry fine, if that. On this form, do you think Dettori and his colleagues are likely to be strict observers of any new rules which might result from the current BHA whip review? What of trainers, also members of The Horsemen’s Group? Which regulations will they choose to obey? I have little sympathy for the BHA who, in managing by committee (30 committees/groups report to the Board) have effectively ‘committeed’ suicide. I’d held out some hope that a new high calibre CEO might just revive them, but there’s every chance that by the time that person arrives, the ‘new’ group will have everything tightly stitched up. A takeover of racing by a body whose key objective is maximising profit with scant regard for integrity, will sound the death knell for the sport. It might be a long echo between now and the burial, but it will come. For those sufficiently interested in the current structure of racing, (aside from the supposed governing body, the BHA) see the flow-chart below. This was originally prepared as part of a major article on a proposed restructuring of the BHA, but that now seems a pointless exercise. While I have no problem with Frankie supporting the tariff campaign, it is ridiculous that punters can get shafted this way. He has thousands of followers who will back him blindly – they get no recourse when they later learn he wasn’t on board Diamond Vision. It happens elsewhere too – the Tim Vaughan plunge on a horse which wasn’t officially trained by him but someone just over the fence, then the kid who was on it coincidentally couldn’t get to the course, and lo and behold a top jockey steps up for the ride after every man and his dog have backed it in from 33/1 into 5s (or whatever the plunge was). It’s a farce for punters and bookies alike. The rule we use in Australia is that if a jockey of similar ability can’t be found, then the horse is withdrawn. Switching from one horse to another, which already had a declared jockey, is not allowed. It protects punters (not just of the ones backing that horse, but also punters backing other horses because they rate the race according to the declared riders), and punters fund the sport!